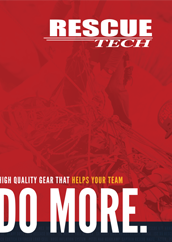 RescueTECH offers the best of rigging slings for Technical Rope Rescue. 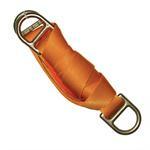 Our quality production of super-strong webbing slings provide rescuers with peace of mind. Includes products by RescueTECH, ISC. Great for High Angle Rescue, Confined Space Rescue, Water Rescue, Search and Rescue. Adjustable rigging slings made with TECHWeb. Features adjustable double end slings and loop slings. Rescue Tech manufactured Rescue Rigging Slings with high strength forged D rings at each end. 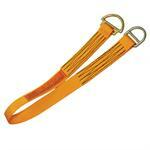 Traditional Fall Protection Lanyards and 100% Tie-Off Tower Lanyards. Our Twin Leg Tower Lanyards feature OSHA required double locking snaps for harness connection. RT Slings with multiple rigging points, Features OMNI Sling, Daisy chain multi-loop slings and etriers. Rescue Tech Transfer Slings, Pickoff Straps, and Load Release Slings. Made from RT TECHWeb, the Load Release Strap and Pickoff strap gives rescuers extra utility and protection during rescues. 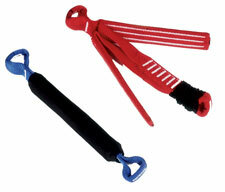 Super-strong versions of traditional double end and loop rigging slings. Features RT TechWeb with cut indicator edges. RT Zorber shock absorbers and Yates Screamer Load Limiters. Great for rigging system protection and training. For use in extreme conditions. Steel cable slings are ideal for high heat and super-low temperatures.